As winter begins to set in, things have started to warm up in the mobile hardware race. Both Qualcomm and Samsung have shown off their latest contenders to the never ending SoC race, in the form of the Snapdragon 820 and the Exynos 8890. Both of them come with their own sets of features and enhancements on board, which should make up devices coming next year perform quite well indeed. But even as we wait for some practical testing of the chipsets, information has already started to surface about their alleged specifications, features and performance enhancements, with some details about the Adreno 530 surfacing today. The launch of the Snapdragon 820 by Qualcomm didn’t take place at a single event. Rather, it was the culmination of a three part information release of the course of 2015, with the company choosing to release information about the processor’s selective components at different time periods. One of these was the processor’s GPU, the Adreno 530, which also saw several upgrades and improvements being touted at the time the company detailed its specifications and features. 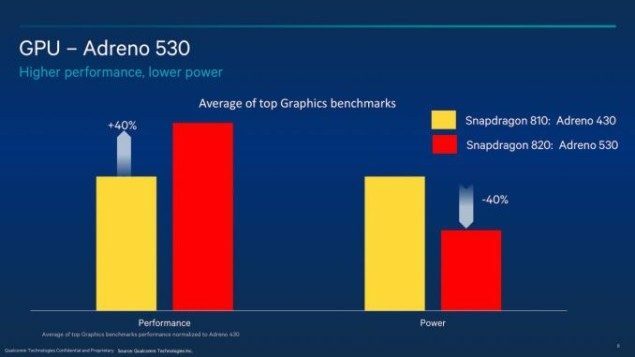 The Adreno 530 is said to offer 40% performance improvements and decrease in power usage over the Adreno 430. Qualcomm’s known for designing some really well performing GPUs, even though the company’s stars might have been in turmoil in terms of processor performance over the course of this year. We’d expect the same with the Adreno 530, and if today’s information is correct than Qualcomm might have outdone itself just once again. 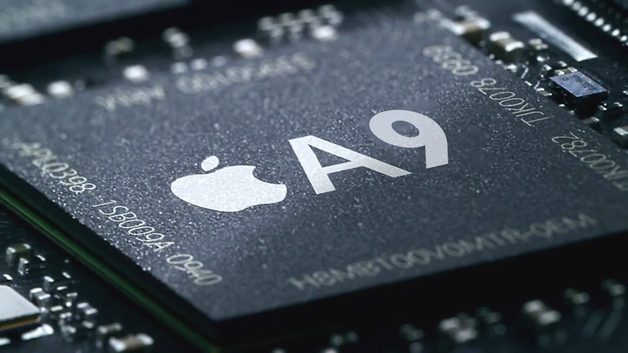 Now, according to some sources straight out of China, the Adreno 530 does manage to outperform the Apple A9’s GPU found on the iPhone 6s and the iPhone 6s Plus. Cupertino’s flagship pair, launched this September, which comes with its own set of improvements and enhancements on board. Given the time edge that Qualcomm has had over Apple in launching the Snapdragon 820, we wouldn’t be surprised if the claim above turns out to be true. The Snapdragon 820 is a very different processor from its predecessor, the ill-fated Snapdragon 810. Not only does it mark the US chipmaking giant’s return to Krait, but it also leans more towards heterogeneous computing, through a tighter integration of the DSP, the GPU and the custom Kryo cores on board. Devices with the processor should be available early 2016, so it isn’t long until we get to witness what the latest Snapdragon is all about. Till then, stay tuned and let us know what you think in the comments section below.